Create And Deliver Powerful Client Satisfaction Questionnaires For Free. Join QuestionPro For Free! 3. Begin with a blank template. The QuestionPro interface is fully optimized for mobile environments, so if you're working on a smartphone or tablet you can still easily create and distribute surveys. 1. Survey Templates: QuestionPro has a template library that contains over 100 survey templates that you can edit and customize. You can check out the survey template library here which includes surveys for client satisfaction. 2. Importing: If you already have questions that you'd like to use for your questionnaire, you can use Microsoft Word and easily import them. 3. A Blank Survey: There are over 30 question types available on QuestionPro with the option of personalizing your survey by choosing either pre-made themes or changing the fonts and colors of your survey. This survey deals with the actual store that your clients walk into. Typical questions usually covered are those regarding the store location, cleanliness, ambience, product selection and pricing. The product satisfaction surveys handles whether or not the product lived up to its expectations. Was the product as described? How about the quality and general use of product? Was it up to the client's expectations? As the clients are purchasing the product, how are they being treated? Were the employees kind, respectful and overall helpful? In addition, how knowledgeable are they? Were they able to answer all of your questions? This survey encompasses a general mixture of questions from the previous surveys. Questions dealing with the physical store, service and product satisfaction are all handled on these questionnaires. All you need to create a survey is your own account. We've added a short video to show you the steps needed to create your first survey. Step 3: Select which method you'd like to use for your survey creation. You have three choices that include choosing a survey template from the library, uploading your own questions or just starting from a blank survey. When you start with QuestionPro, you'll have many options to create and distribute questionnaires. As you're going through our website, consider asking yourself these following questions? How many templates do they have to choose from? Is there a library of over 100 various templates to select from, including those regarding client satisfaction? How about if you have questions already? Can you easily upload them into the editor? If all you need is to start with a blank survey template, what options do you have to choose from? Do you have over 30 question types to choose from, in addition to selecting various pre-made themes? In addition, can you add logic and scoring to your surveys? 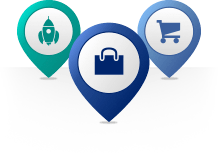 Choosing QuestionPro will give you access to all of these, plus more! In what ways can you distribute your survey? 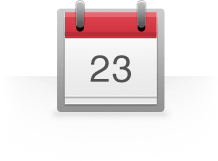 Are you able to import an entire list of email addresses straight into the interface? How about embedding your survey onto your website or blog? Is there custom HTML given to you? 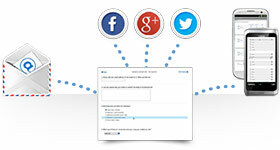 Are you able to post to your social networks like Facebook and LinkedIn from within the interface? How about if you plan to work offline? Can you download an app to help you with that? QuestionPro has all of these features and more. Now that you have responses coming in, what can you do in terms of reporting and analysis? Can you create infographics and word clouds with your information? How about creating data filters and pivot tables with your response data, or even perform trend analysis? 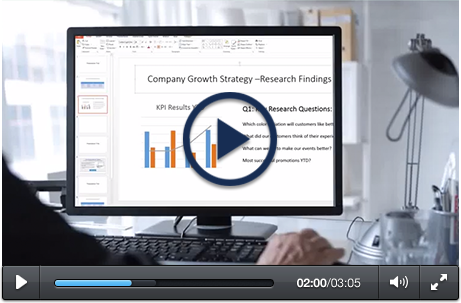 Can you download your results as a raw data file and bring it into Excel or SPSS for advanced analysis? Or perhaps you just need your results backed up to cloud services like Google Docs or Dropbox. How easy can that be done? 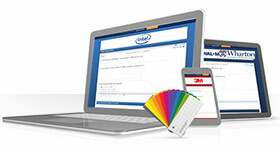 All of these options are available with QuestionPro, plus a lot more. Start by choosing one of three options for survey creation. Begin by either browsing the QuestionPro template library and choosing a ready made survey to use, easily importing questions that you may already have and would like to use, or just simply starting from a blank template. 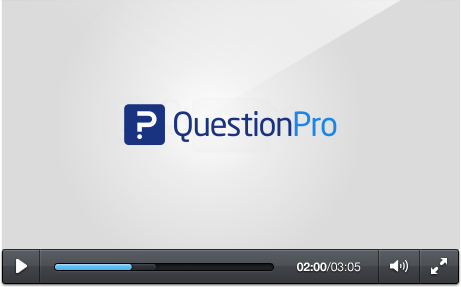 In QuestionPro, you have over 30 different question types to choose from, ranging from simple to advanced. Implement advanced logic and scoring, and change any visual aspect of your survey. Select a variety of ways to send your survey out. Create and manage custom email lists right within QuestionPro. Easily embed your survey onto your website or blog. Post to your social media network like Facebook or Twitter right from the interface. Create a QR code that links right to your survey. If you plan on working offline, you can download the QuestionPro App to assist you in this. 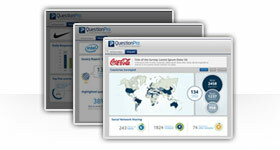 You can also purchase a sample of respondents from QuestionPro is you need participants to take your survey. With QuestionPro, you can view your responses in real time, which includes seeing how many people just looked at your survey and the number who actually completed it. When you feel you have enough data, you create custom infographics and word clouds with your response data. For analysis, you can create data filters and cross tabs in addition to performing trend and TURF analysis. You can have your responses exported to the cloud like Dropbox or Google Docs.